The event was an important platform for the pharmaceutical industry in Mena discussing ongoing and future challenges and solutions in the industry. Pharma sales had reached an impressive $32 billion across Mena pharma market by the end of 2017, with the Middle East accounting for $20.3 billion and North Africa for $10.7 billion, according to CPhI Middle East and Africa, a leading global pharmaceutical event, to be held later this year in Abu Dhabi, UAE. Saudi Arabia remains the biggest pharma market in the region according to 2017 sales numbers at $7.5 billion, with Turkey ($6.9 billion), Egypt ($3.4 billion) and the UAE ($3.17 billion) following closely behind. However, overall the North Africa region is predicted to see the fastest growth rates in the next few years at 7.6 per cent CAGR. 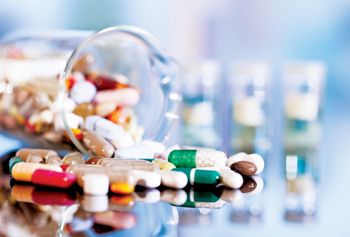 Accelerated drug-registration system, investments in R&D, innovation, and technological advancement, has led to a rise in the number of international pharmaceutical companies from 30 in 2013 to 47 in 2016, and is expected to reach 75 in 2020. Moreover, around 95 per cent of the global pharmaceutical companies have a base in the UAE, which gives them logistics access to 43 countries worldwide. The Congress focused on challenges faced by pharmaceutical companies in the Middle East and North Africa (Mena) with the globalisation of the pharmaceutical supply chain requiring them to maintain ever-changing regulations and compliance for temperature-sensitive products. It also discussed Good Distribution Practices and varying regulations across different countries. It delved into strategies including regulatory compliance, integrating cold chain management, selecting the appropriate partners, maintaining supply chain integrity, achieving real-time traceability and more. Meanwhile, the implications of an ageing population on the pharmaceuticals industry will be one of the main topics to be highlighted at the CPhI Middle East and Africa at its forthcoming pharmaceutical event. The event returns after its successful launch in the UAE capital last year, to be held at the Abu Dhabi National Exhibition Centre (Adnec) from September 16 to 18. According to UN research figures it is estimated that the Middle East and North Africa (Mena) population will increase from 443 million to a staggering 654 million by 2050. Looking at those figures in more detail, the population of the GCC countries will grow from 53 million today to over 71 million by 2050. “The issue of an ageing population is not confined to the GCC, it is a global issue. In Italy, Greece and Spain, for example, the over 65s alone will account for 35 per cent of their total population by 2050,” she said. “So, this not only presents regional governments with major fiscal challenges, allocating sufficient amounts to their healthcare budgets over the next 20-30 years, but it also presents pharma-related companies with opportunities to grow in tandem with market demand, which is currently worth in excess of $40 billion,” added Turner. The event is the region’s leading platform that brings together pharma ingredients, product manufacturers, suppliers and buyers covering every step of the pharma supply chain from drug research and discovery to finished dosage. Supported by Abu Dhabi Chamber of Commerce and Industry, the event is set to attract attendees from the Middle East and Africa (MEA), of which the Mena region accounts for 4 per cent of the global pharma market, and the rest of the world. Over 294 local, regional and international exhibitors from more than 35 countries are expected to attend the three-day showcase. In addition to the global network of exhibitors, the event is expected to attract over 4,900 participants, more than 50 per cent of which will come from the MEA region, said a statement from the organisers. Apart from an ageing and growing population, other key market growth drivers include obesity and chronic diseases including diabetes, cardiovascular disease and oncology; private medical insurance that all expatriate residents must carry; medical tourism and the development of domestic manufacturing, it said. “In addition to providing a platform to meet, and to conduct business, the event will provide networking platforms for professionals across the spectrum of the pharma market to discuss these issues and forge partnerships and alliances,” she added. The exhibition will also feature Live Pharma Connect, a free service open to visitors and exhibitors allowing both parties to make pre-arranged pharma specific, mutually beneficial meetings during the event. Running in parallel to the exhibition will be a range of content sessions addressing the latest trends in the market, a range of keynote addresses, as well as a host of networking opportunities, added the organisers. “It is a timely and relevant addition to the CPhI series of events, given the current market dynamics in the Mena region,” he added.